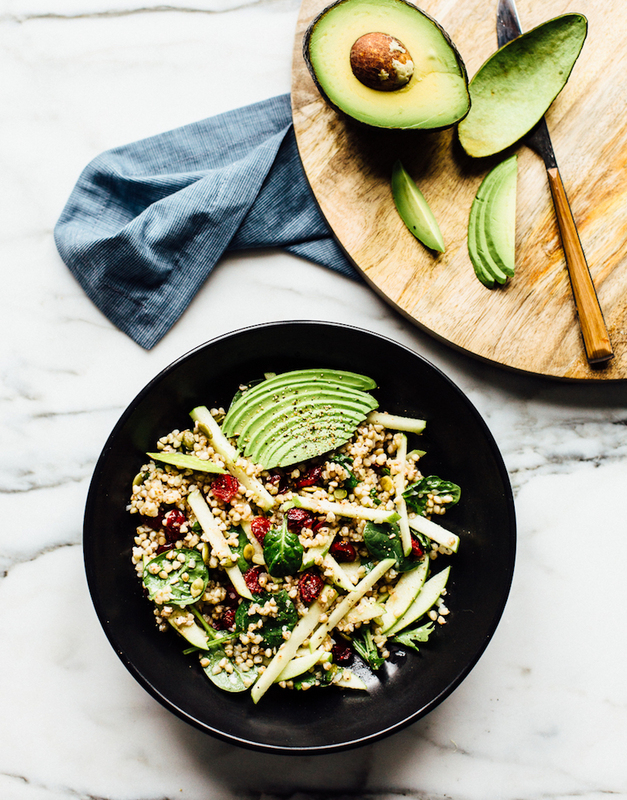 One of my favorite bloggers is Ashley from Blissful Basil. Not only does she churn out gorgeous blogposts, but she is one of the sweetest people ever and I am so happy to have gotten to know her via the virtual blogging community. 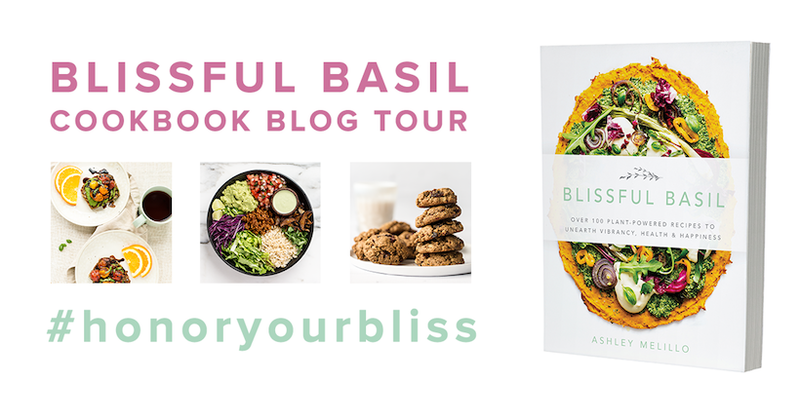 And today I am celebrating Ashley by raving about her new cookbook, Blissful Basil, Over 100 Plant-Powered Recipes to Unearth Vibrancy, Health and Happiness. Today I am offering up my review, a giveaway opportunity and an entree recipe from Ashley's book!.. Book Review. I love this book so much! Here are some of my favorite things about it..
* The Photos. I love that Ashley did all the photography herself for her book. I did that for both my books and know how challenging and stressful it can be, but in the end it is pretty satisfying to have that "photography by" credit. Ans Ashley's photos are unique because they are so darn pretty! Instagram perfect and oh so colorful. Yet even though her food is beyond beautiful, it still looks accessible. That is so important for a cookbook, especially a vegan cookbook. * The Stories. I love Ashley's writing so much! Her voice is so playful and kind and wise. I adore her opening Introduction section "Rooted Habits" where she candidly talks about her personal journey with anxiety. It is a beautiful extension of her diet and plant-based journey. * The Food!! The recipes are of course the best part of any good cookbook and Ashley does not fail to impress. 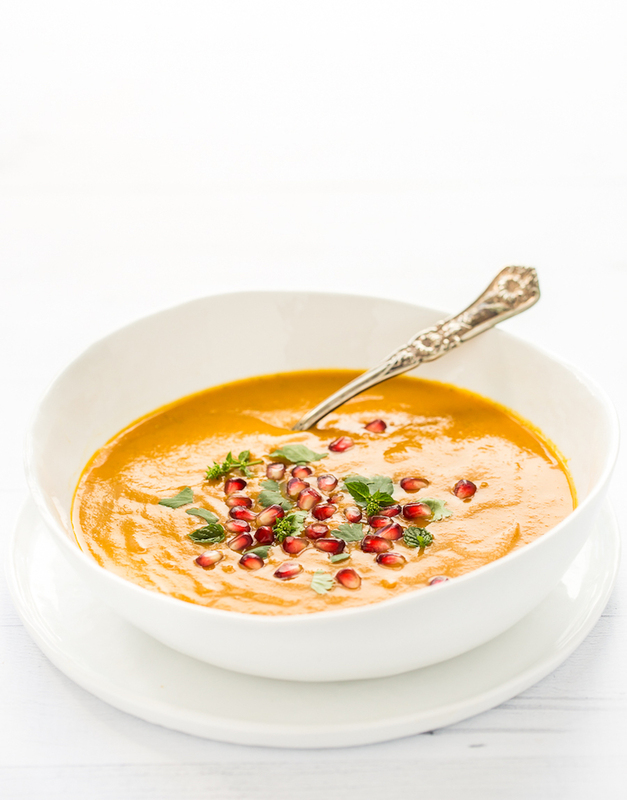 Everything from her decadent yet healthy desserts and amazing entree ideas, appetizer, sandwiches, soups and more - delicious! I can't wait to try her Sloppy Shiitakes, Pile 'Em High Epic Nachos, Simple Sweet Potato Cinnamon Rolls with Maple Glaze, the Fava Bean Salad with Lemony Parmesan Vinaigrette, the Mushroom-Lentil Sliders with herbed hemp aioli, the Enlivening Lemon Bars and the gorgeous stack of "And Ode to Ohio" Peanut Butter Cookie Dough + Caramel Buckeye Bars! Oh my. * Labeling. 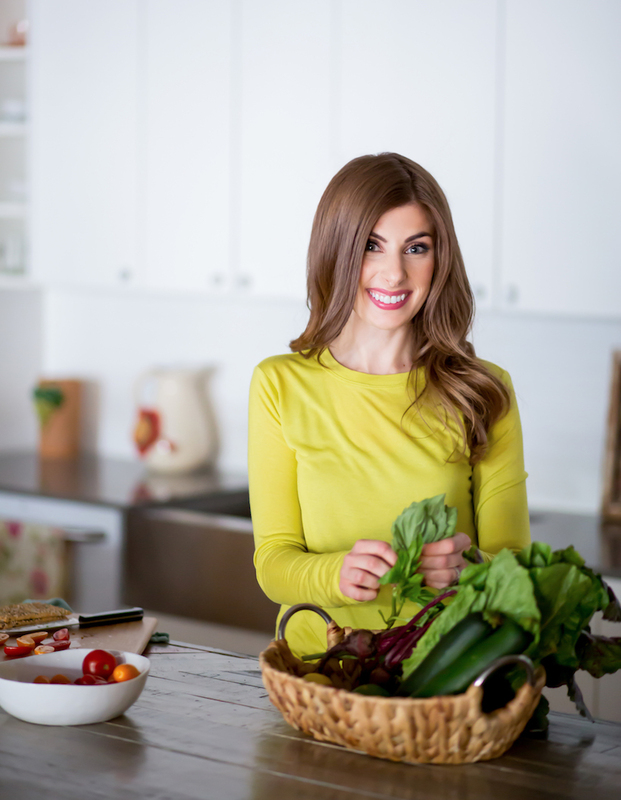 I love that Ashley's book labels each recipe with things like gluten-free, grain-free, soy-free, nut-free, oil-free, refined-sugar-free, raw and even options for all of those. This is so helpful to someone with an extra special diet. Snag a copy of Ashley's book on Amazon! 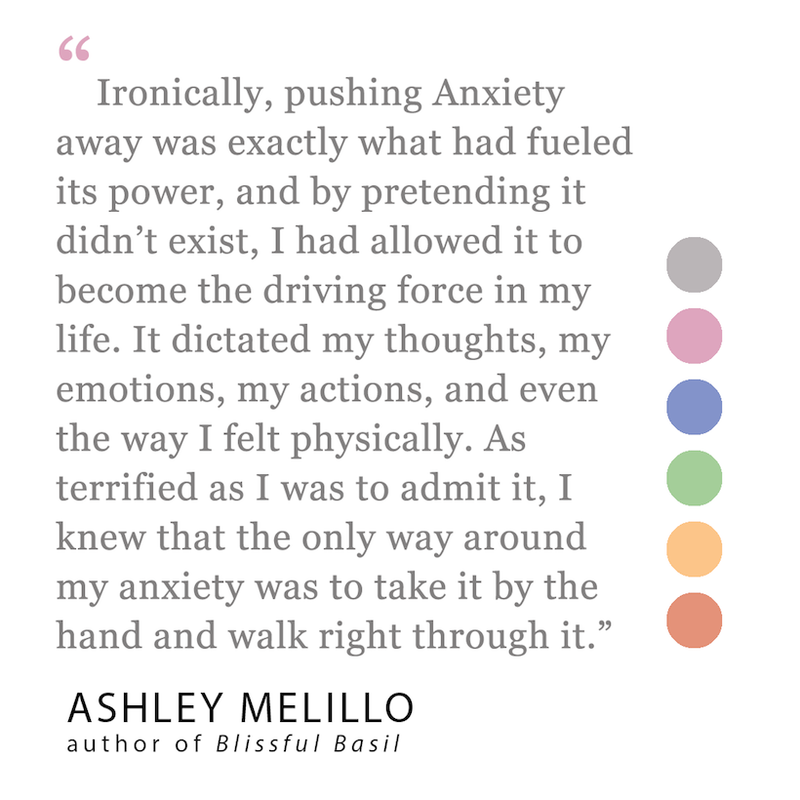 And lastly, I was so happy to be included in the "Praise for Blissful Basil" section of the book, here is what I said about Ashley's book and work..
1. (mandatory) Leave a comment below on this post -> share one way you #honoryourbliss. That is Ashley's hashtag for this book and I love it! You can share anything from things or experiences that make you feel happy, or ways you embrace BLISS in your everyday life (yoga, cooking, long walks, family, friends..), or even share who inspires you and how! Whatever BLISS means to you, share that. 2. (optional) Share this post. If you share this post anywhere online (twitter, facebook, instagram..) put a #shared note in your comment and your entry will count for two entries. Winner: One person will be randomly chosen on January 20th, 2017. USA and Canada only please. And finally... a taste from Ashley's book... a recipe! This Easy Does It Sunday Evening Chili looks so cozy and satisfying, plus it is perfect for winter weather and jam packed with nutrients! 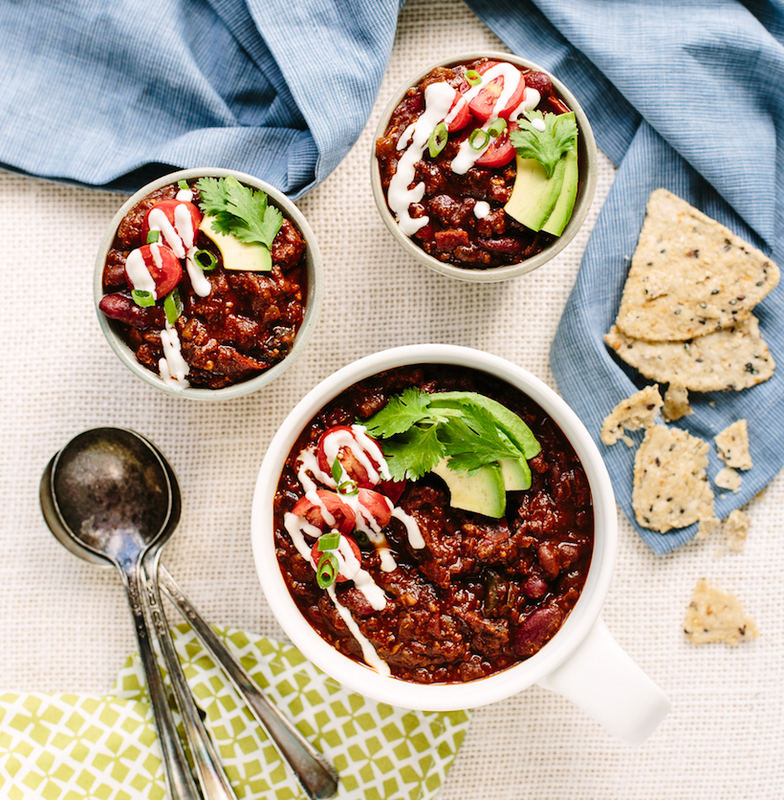 This vegan chili can be enjoyed any day of the week! 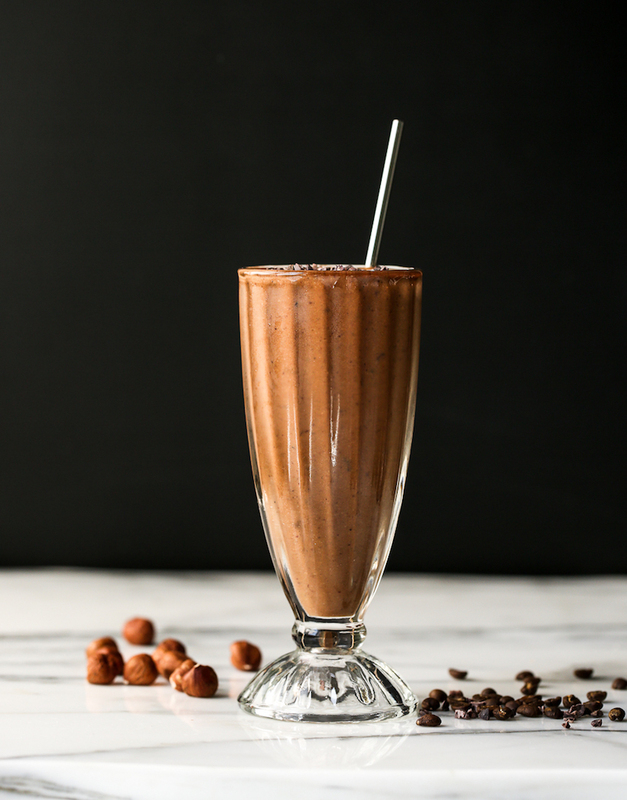 Cashew Sour Cream: Add all the ingredients to a high-speed blender and blend on high for 2–3 minutes, or until completely smooth. Transfer to an airtight jar. Store in the refrigerator for up to 3 days. 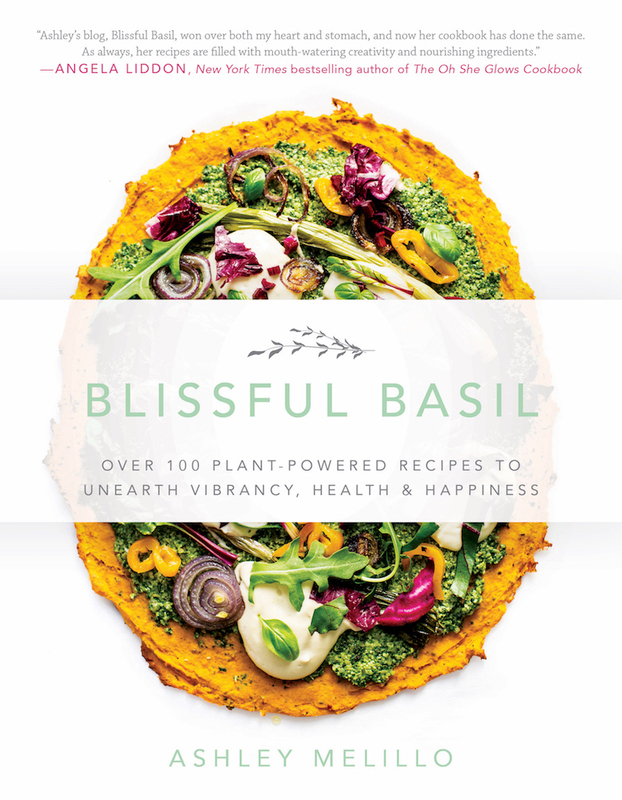 * This recipe reprinted from Blissful Basil by arrangement with BenBella Books. Copyright © 2016, Ashley Melillo. 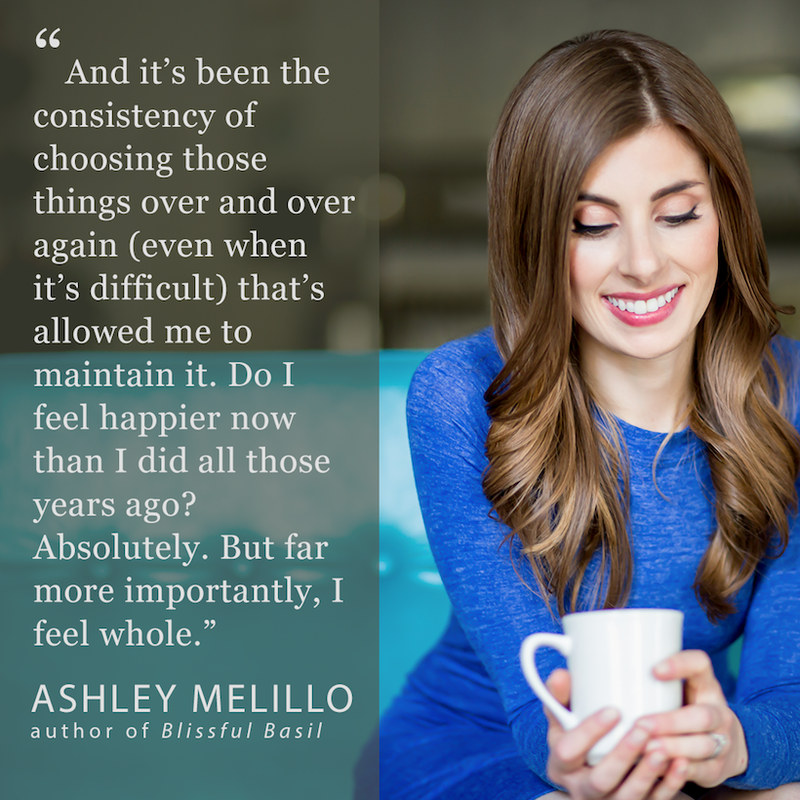 Buy Blissful Basil on Amazon. All photos above from Blissful Basil by arrangement with BenBella Books. Copyright © 2016, Ashley Melillo.